It’s oily, it’s spicy, still, it’s the most delicious and extremely popular north Indian breakfast dish in Punjab. Yes, it’s Aloo Poori or Aloo ki sabji which is traditionally eaten with Boondi Raita and Aam Ka Achar. If you are mad over this authentic Indian food, you must be seeking for the recipe to cook it at your home. This Indian breakfast is so popular that you can get it almost every Indian restaurant as well as abroad countries. 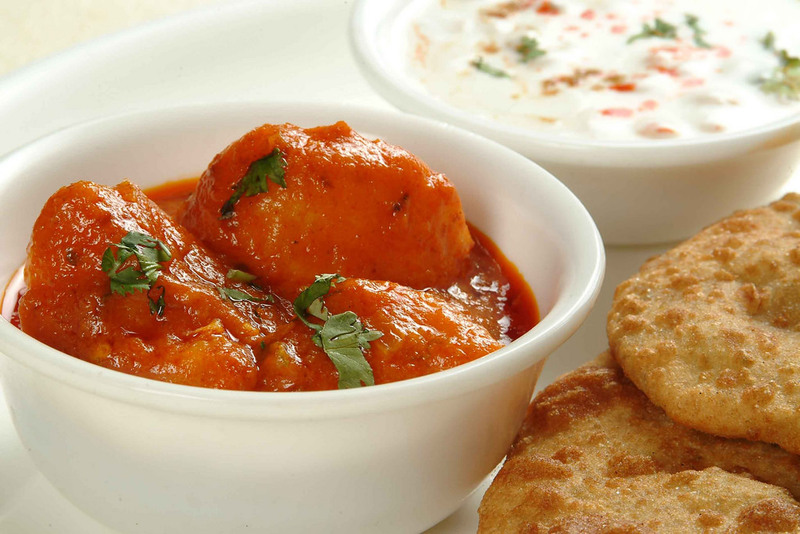 However, if you want to cook the delicious Aloo Poori recipe at home on your own, it’s quite simple and easy. It just needs a few hours with certain specific ingredients and you’re done. 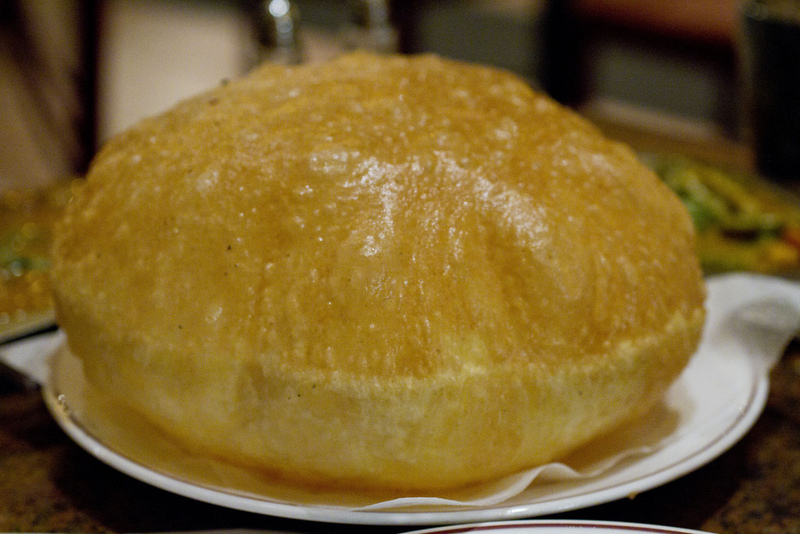 The spicy potato gravy is served with puffed deep friend Indian break called as Poori. 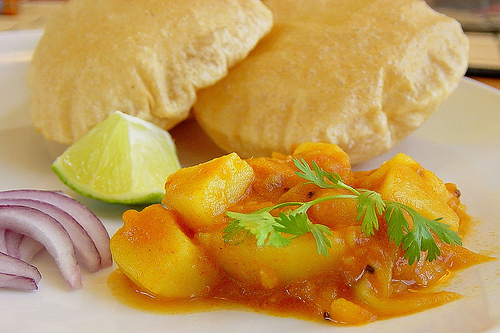 Here the recipe to ingredients list and preparation method to make Aloo Poori. First of all, heat up some oil in a pan then add some cumin seeds in it and once the cumin seeds begin to sputter, add asafetida, turmeric, , degi mirch, red chili powder and 1 tblsp water so the red chilly don’t burn. Now add the pureed tomatoes and then let it cook till the oil separate. Afterwards, add the slit green chilly and add some salt (according to the taste, garam Masala and coriander powder. Take boiled potatoes, crush them with hand, add them and mix them well. Once you are done, add the saunf powder, crushed kasoori methi and 1 cup of water. Keep it aside and let it cool till the gravy thickens. Meanwhile keep stirring it occasionally. Then put it into the serving bowl and garnish them with coriander leaves. •	Make a small well right in the middle of the flour and gradually stir in yogurt. Then mix it properly to prepare supple dough. Now your aloo puri is ready and good to go for the breakfast. Serve the s with aloo ki sabji and spicy aam k achar.